It was approaching nightfall. The sexton, Savely Gykin, was lying in his huge bed in the hut adjoining the church. He was not asleep, though it was his habit to go to sleep at the same time as the hens. His coarse red hair peeped from under one end of the greasy patchwork quilt, made up of coloured rags, while his big unwashed feet stuck out from the other. He was listening. His hut adjoined the wall that encircled the church and the solitary window in it looked out upon the open country. And out there a regular battle was going on. It was hard to say who was being wiped off the face of the earth, and for the sake of whose destruction nature was being churned up into such a ferment; but, judging from the unceasing malignant roar, someone was getting it very hot. IT was approaching nightfall. The sexton, Savely Gykin, was lying in his huge bed in the hut adjoining the church. He was not asleep, though it was his habit to go to sleep at the same time as the hens. His coarse red hair peeped from under one end of the greasy patchwork quilt, made up of coloured rags, while his big unwashed feet stuck out from the other. He was listening. His hut adjoined the wall that encircled the church and the solitary window in it looked out upon the open country. And out there a regular battle was going on. It was hard to say who was being wiped off the face of the earth, and for the sake of whose destruction nature was being churned up into such a ferment; but, judging from the unceasing malignant roar, someone was getting it very hot. A victorious force was in full chase over the fields, storming in the forest and on the church roof, battering spitefully with its fists upon the windows, raging and tearing, while something vanquished was howling and wailing.... A plaintive lament sobbed at the window, on the roof, or in the stove. It sounded not like a call for help, but like a cry of misery, a consciousness that it was too late, that there was no salvation. The snowdrifts were covered with a thin coating of ice; tears quivered on them and on the trees; a dark slush of mud and melting snow flowed along the roads and paths. In short, it was thawing, but through the dark night the heavens failed to see it, and flung flakes of fresh snow upon the melting earth at a terrific rate. And the wind staggered like a drunkard. It would not let the snow settle on the ground, and whirled it round in the darkness at random. “Nothing.... I fancy someone’s coming,” she answered quietly. The sexton flung the quilt off with his arms and legs, knelt up in bed, and looked blankly at his wife. The timid light of the lamp illuminated his hirsute, pock-marked countenance and glided over his rough matted hair. “Do you hear?” asked his wife. Through the monotonous roar of the storm he caught a scarcely audible thin and jingling monotone like the shrill note of a gnat when it wants to settle on one’s cheek and is angry at being prevented. “It’s the post,” muttered Savely, squatting on his heels. Two miles from the church ran the posting road. In windy weather, when the wind was blowing from the road to the church, the inmates of the hut caught the sound of bells. “Lord! fancy people wanting to drive about in such weather,” sighed Raissa. The murmur hung in the air and died away. “It has driven by,” said Savely, getting into bed. But before he had time to cover himself up with the bedclothes he heard a distinct sound of the bell. The sexton looked anxiously at his wife, leapt out of bed and walked, waddling, to and fro by the stove. The bell went on ringing for a little, then died away again as though it had ceased. “I don’t hear it,” said the sexton, stopping and looking at his wife with his eyes screwed up. But at that moment the wind rapped on the window and with it floated a shrill jingling note. Savely turned pale, cleared his throat, and flopped about the floor with his bare feet again. “What do you know?” Raissa asked quietly, keeping her eyes fixed on the window. “You’re mad, you silly,” his wife answered calmly. The sexton took breath, wiped his lips and listened. The bell was not to be heard, but the wind banged on the roof, and again there came a tinkle in the darkness. Suddenly there was a knock at the window, so loud and unusual that Savely turned pale and almost dropped backwards with fright. His wife jumped up, and she, too, turned pale. “Who are you?” asked Raissa, afraid to look at the window. “The post,” answered a second voice. The sexton jumped on to the bed in two skips, stretched himself on the feather mattress, and sniffing angrily, turned with his face to the wall. Soon he felt a draught of cold air on his back. The door creaked and the tall figure of a man, plastered over with snow from head to foot, appeared in the doorway. Behind him could be seen a second figure as white. “Am I to bring in the bags?” asked the second in a hoarse bass voice. “You can’t leave them there.” Saying this, the first figure began untying his hood, but gave it up, and pulling it off impatiently with his cap, angrily flung it near the stove. Then taking off his greatcoat, he threw that down beside it, and, without saying good-evening, began pacing up and down the hut. He was a fair-haired, young postman wearing a shabby uniform and black rusty-looking high boots. After warming himself by walking to and fro, he sat down at the table, stretched out his muddy feet towards the sacks and leaned his chin on his fist. His pale face, reddened in places by the cold, still bore vivid traces of the pain and terror he had just been through. Though distorted by anger and bearing traces of recent suffering, physical and moral, it was handsome in spite of the melting snow on the eyebrows, moustaches, and short beard. “It’s a dog’s life!” muttered the postman, looking round the walls and seeming hardly able to believe that he was in the warmth. “We were nearly lost! If it had not been for your light, I don’t know what would have happened. Goodness only knows when it will all be over! There’s no end to this dog’s life! Where have we come?” he asked, dropping his voice and raising his eyes to the sexton’s wife. “To the Gulyaevsky Hill on General Kalinovsky’s estate,” she answered, startled and blushing. “Yes... we’re a long way out.” Jerking out these words like a hoarse sigh, the driver went out and soon after returned with another bag, then went out once more and this time brought the postman’s sword on a big belt, of the pattern of that long flat blade with which Judith is portrayed by the bedside of Holofernes in cheap woodcuts. Laying the bags along the wall, he went out into the outer room, sat down there and lighted his pipe. “Perhaps you’d like some tea after your journey?” Raissa inquired. “What an infliction it is, this weather!” sighed Raissa. And the postman was immediately informed that if Savely were to go to the General’s lady and ask her for a letter to the bishop, he would be given a good berth. “But he doesn’t go to the General’s lady because he is lazy and afraid of people. We belong to the clergy all the same...” added Raissa. “What do you live on?” asked the postman. Savely wriggled his leg impatiently and moved closer to the wall. The postman moved away from the table, stretched, and sat down on the mail-bag. After a moment’s thought he squeezed the bags with his hands, shifted his sword to the other side, and lay down with one foot touching the floor. Soon everything was still. Nothing was audible except the sniffing of Savely and the slow, even breathing of the sleeping postman, who uttered a deep prolonged “h-h-h” at every breath. From time to time there was a sound like a creaking wheel in his throat, and his twitching foot rustled against the bag. Savely fidgeted under the quilt and looked round slowly. His wife was sitting on the stool, and with her hands pressed against her cheeks was gazing at the postman’s face. Her face was immovable, like the face of some one frightened and astonished. “Well, what are you gaping at?” Savely whispered angrily. “What is it to you? Lie down!” answered his wife without taking her eyes off the flaxen head. Savely angrily puffed all the air out of his chest and turned abruptly to the wall. Three minutes later he turned over restlessly again, knelt up on the bed, and with his hands on the pillow looked askance at his wife. She was still sitting motionless, staring at the visitor. Her cheeks were pale and her eyes were glowing with a strange fire. The sexton cleared his throat, crawled on his stomach off the bed, and going up to the postman, put a handkerchief over his face. “What’s that for?” asked his wife. Savely looked distrustfully at his wife, put out his lips towards the lamp, but at once thought better of it and clasped his hands. And settling herself more comfortably, she stared at the postman again. It did not matter to her that his face was covered. She was not so much interested in his face as in his whole appearance, in the novelty of this man. His chest was broad and powerful, his hands were slender and well formed, and his graceful, muscular legs were much comelier than Savely’s stumps. There could be no comparison, in fact. And Savely, thoroughly roused, ran up to the postman and tugged him by the sleeve. The postman jumped up, sat down, looked with blank eyes round the hut, and lay down again. The postman opened his eyes. Warmed and relaxed by his first sweet sleep, and not yet quite awake, he saw as through a mist the white neck and the immovable, alluring eyes of the sexton’s wife. He closed his eyes and smiled as though he had been dreaming it all. The postman opened his eyes again, looked at the play of the dimples on Raissa’s face, remembered where he was, and understood Savely. The thought that he had to go out into the cold darkness sent a chill shudder all down him, and he winced. The postman got up, and stretching lazily began putting on his coat. Savely positively neighed with delight when he saw his visitors were getting ready to go. “Give us a hand,” the driver shouted to him as he lifted up a mail-bag. The sexton ran out and helped him drag the post-bags into the yard. The postman began undoing the knot in his hood. The sexton’s wife gazed into his eyes, and seemed trying to look right into his soul. “You ought to have a cup of tea...” she said. “Do stay,” she whispered, dropping her eyes and touching him by the sleeve. The postman got the knot undone at last and flung the hood over his elbow, hesitating. He felt it comfortable standing by Raissa. “What a... neck you’ve got!...” And he touched her neck with two fingers. Seeing that she did not resist, he stroked her neck and shoulders. And the postman, not yet quite awake, not yet quite able to shake off the intoxicating sleep of youth and fatigue, was suddenly overwhelmed by a desire for the sake of which mail-bags, postal trains... and all things in the world, are forgotten. He glanced at the door in a frightened way, as though he wanted to escape or hide himself, seized Raissa round the waist, and was just bending over the lamp to put out the light, when he heard the tramp of boots in the outer room, and the driver appeared in the doorway. Savely peeped in over his shoulder. The postman dropped his hands quickly and stood still as though irresolute. “It’s all ready,” said the driver. The postman stood still for a moment, resolutely threw up his head as though waking up completely, and followed the driver out. Raissa was left alone. “Come, get in and show us the way!” she heard. One bell sounded languidly, then another, and the jingling notes in a long delicate chain floated away from the hut. When little by little they had died away, Raissa got up and nervously paced to and fro. At first she was pale, then she flushed all over. Her face was contorted with hate, her breathing was tremulous, her eyes gleamed with wild, savage anger, and, pacing up and down as in a cage, she looked like a tigress menaced with red-hot iron. For a moment she stood still and looked at her abode. Almost half of the room was filled up by the bed, which stretched the length of the whole wall and consisted of a dirty feather-bed, coarse grey pillows, a quilt, and nameless rags of various sorts. The bed was a shapeless ugly mass which suggested the shock of hair that always stood up on Savely’s head whenever it occurred to him to oil it. From the bed to the door that led into the cold outer room stretched the dark stove surrounded by pots and hanging clouts. Everything, including the absent Savely himself, was dirty, greasy, and smutty to the last degree, so that it was strange to see a woman’s white neck and delicate skin in such surroundings. Raissa ran up to the bed, stretched out her hands as though she wanted to fling it all about, stamp it underfoot, and tear it to shreds. But then, as though frightened by contact with the dirt, she leapt back and began pacing up and down again. When Savely returned two hours later, worn out and covered with snow, she was undressed and in bed. Her eyes were closed, but from the slight tremor that ran over her face he guessed that she was not asleep. On his way home he had vowed inwardly to wait till next day and not to touch her, but he could not resist a biting taunt at her. “Your witchery was all in vain: he’s gone off,” he said, grinning with malignant joy. His wife remained mute, but her chin quivered. Savely undressed slowly, clambered over his wife, and lay down next to the wall. “To-morrow I’ll let Father Nikodim know what sort of wife you are!” he muttered, curling himself up. Raissa turned her face to him and her eyes gleamed. Raissa cried for a long time. At last she drew a deep sigh and was still. The storm still raged without. Something wailed in the stove, in the chimney, outside the walls, and it seemed to Savely that the wailing was within him, in his ears. This evening had completely confirmed him in his suspicions about his wife. He no longer doubted that his wife, with the aid of the Evil One, controlled the winds and the post sledges. But to add to his grief, this mysteriousness, this supernatural, weird power gave the woman beside him a peculiar, incomprehensible charm of which he had not been conscious before. The fact that in his stupidity he unconsciously threw a poetic glamour over her made her seem, as it were, whiter, sleeker, more unapproachable. Yet, waiting till she was quiet and began breathing evenly, he touched her head with his finger... held her thick plait in his hand for a minute. She did not feel it. Then he grew bolder and stroked her neck. “Leave off!” she shouted, and prodded him on the nose with her elbow with such violence that he saw stars before his eyes. The pain in his nose was soon over, but the torture in his heart remained. His elder son, Fyodor, is head engineer in the factory, and, as the peasants say of him, he has risen so high in the world that he is quite out of reach now. 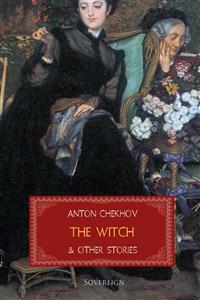 Fyodor’s wife, Sofya, a plain, ailing woman, lives at home at her father-in-law’s. She is for ever crying, and every Sunday she goes over to the hospital for medicine. Dyudya’s second son, the hunchback Alyoshka, is living at home at his father’s. He has only lately been married to Varvara, whom they singled out for him from a poor family. She is a handsome young woman, smart and buxom. When officials or merchants put up at the house, they always insist on having Varvara to bring in the samovar and make their beds. One June evening when the sun was setting and the air was full of the smell of hay, of steaming dung-heaps and new milk, a plain-looking cart drove into Dyudya’s yard with three people in it: a man of about thirty in a canvas suit, beside him a little boy of seven or eight in a long black coat with big bone buttons, and on the driver’s seat a young fellow in a red shirt. “The little chap will be your son, I’m thinking?” Dyudya asked the traveller. They got into conversation. The stranger seemed to be a man fond of talking and ready of speech, and Dyudya learned from him that he was from the town, was of the tradesman class, and had a house of his own, that his name was Matvey Savitch, that he was on his way now to look at some gardens that he was renting from some German colonists, and that the boy’s name was Kuzka. The evening was hot and close, no one felt inclined for sleep. When it was getting dark and pale stars began to twinkle here and there in the sky, Matvey Savitch began to tell how he had come by Kuzka. Afanasyevna and Sofya stood a little way off, listening. Kuzka had gone to the gate. “It’s a complicated story, old man,” began Matvey Savitch, “and if I were to tell you all just as it happened, it would take all night and more. Ten years ago in a little house in our street, next door to me, where now there’s a tallow and oil factory, there was living an old widow, Marfa Semyonovna Kapluntsev, and she had two sons: one was a guard on the railway, but the other, Vasya, who was just my own age, lived at home with his mother. Old Kapluntsev had kept five pair of horses and sent carriers all over the town; his widow had not given up the business, but managed the carriers as well as her husband had done, so that some days they would bring in as much as five roubles from their rounds. “The young fellow, too, made a trifle on his own account. He used to breed fancy pigeons and sell them to fanciers; at times he would stand for hours on the roof, waving a broom in the air and whistling; his pigeons were right up in the clouds, but it wasn’t enough for him, and he’d want them to go higher yet. Siskins and starlings, too, he used to catch, and he made cages for sale. All trifles, but, mind you, he’d pick up some ten roubles a month over such trifles. Well, as time went on, the old lady lost the use of her legs and took to her bed. In consequence of which event the house was left without a woman to look after it, and that’s for all the world like a man without an eye. The old lady bestirred herself and made up her mind to marry Vasya. They called in a matchmaker at once, the women got to talking of one thing and another, and Vasya went off to have a look at the girls. He picked out Mashenka, a widow’s daughter. They made up their minds without loss of time and in a week it was all settled. The girl was a little slip of a thing, seventeen, but fair-skinned and pretty-looking, and like a lady in all her ways; and a decent dowry with her, five hundred roubles, a cow, a bed.... Well, the old lady—it seemed as though she had known it was coming—three days after the wedding, departed to the Heavenly Jerusalem where is neither sickness nor sighing. The young people gave her a good funeral and began their life together. For just six months they got on splendidly, and then all of a sudden another misfortune. It never rains but it pours: Vasya was summoned to the recruiting office to draw lots for the service. He was taken, poor chap, for a soldier, and not even granted exemption. They shaved his head and packed him off to Poland. It was God’s will; there was nothing to be done. When he said good-bye to his wife in the yard, he bore it all right; but as he glanced up at the hay-loft and his pigeons for the last time, he burst out crying. It was pitiful to see him. “At first Mashenka got her mother to stay with her, that she mightn’t be dull all alone; she stayed till the baby—this very Kuzka here—was born, and then she went off to Oboyan to another married daughter’s and left Mashenka alone with the baby. There were five peasants—the carriers—a drunken saucy lot; horses, too, and dray-carts to see to, and then the fence would be broken or the soot afire in the chimney—jobs beyond a woman, and through our being neighbours, she got into the way of turning to me for every little thing.... Well, I’d go over, set things to rights, and give advice.... Naturally, not without going indoors, drinking a cup of tea and having a little chat with her. I was a young fellow, intellectual, and fond of talking on all sorts of subjects; she, too, was well-bred and educated. She was always neatly dressed, and in summer she walked out with a sunshade. Sometimes I would begin upon religion or politics with her, and she was flattered and would entertain me with tea and jam.... In a word, not to make a long story of it, I must tell you, old man, a year had not passed before the Evil One, the enemy of all mankind, confounded me. I began to notice that any day I didn’t go to see her, I seemed out of sorts and dull. And I’d be continually making up something that I must see her about: ‘It’s high time,’ I’d say to myself, ‘to put the double windows in for the winter,’ and the whole day I’d idle away over at her place putting in the windows and take good care to leave a couple of them over for the next day too. “’I ought to count over Vasya’s pigeons, to see none of them have strayed,’ and so on. I used always to be talking to her across the fence, and in the end I made a little gate in the fence so as not to have to go so far round. From womankind comes much evil into the world and every kind of abomination. Not we sinners only; even the saints themselves have been led astray by them. Mashenka did not try to keep me at a distance. Instead of thinking of her husband and being on her guard, she fell in love with me. I began to notice that she was dull without me, and was always walking to and fro by the fence looking into my yard through the cracks. “And who’s that, pray?” asked Matvey Savitch. “It’s been no use. Simply keeping another man’s daughter for nothing,” said Dyudya. Somewhere behind the church they began to sing a glorious, mournful song. The words they could not catch and only the voices could be heard—two tenors and a bass. All were listening; there was complete stillness in the yard.... Two voices suddenly broke off with a loud roar of laughter, but the third, a tenor, still sang on, and took so high a note that every one instinctively looked upwards, as though the voice had soared to heaven itself. “It’s the priest’s sons with the schoolmaster,” she said. “Once married, with her husband she must live,” said Dyudya. “’Man and wife are one flesh. We have sinned,’ I said, ‘you and I, and it is enough; we must repent and fear God. We must confess it all to Vasya,’ said I; ‘he’s a quiet fellow and soft—he won’t kill you. And indeed,’ said I, ‘better to suffer torments in this world at the hands of your lawful master than to gnash your teeth at the dread Seat of Judgment.’ The wench wouldn’t listen; she stuck to her silly, ‘It’s you I love!’ and nothing more could I get out of her.